The reason why I felt the compelling need to write this post is because at times it is very disheartening to see some of us buying rumors and baseless forwards and form judgement based on emotions. My recent encounter was with a friend who forwarded a message which has been circulating for more than a couple of years- that a famous Meat processing company is owned by a person from a right wing political party in India and hence we must all "unite" to avoid it because it is haram. What we forget here is the seriousness of the issue when claiming something as haram without proper evidence to back it up and how grave the sin is to say something is haram when it is actually not! We are caught between the two extremes- one group which categorizes most products or brands blindly as Haram because they are made from "pig fat/blood" or owned by right wing parties and another group which would not pay the tiniest attention to what they eat as long as the see the green and white label "Halal" on the product packaging. Before I begin, let me start with a very strong disclaimer that this post DOES NOT, in any form say that what has been labeled halal in a product is haram and is impermissible to eat. The intention of this post is truly about highlighting the necessity for understanding what is Tayyib (that which is pure) and why we must look beyond just what is permissible. One of the most important aspects of being a Muslim is that we are aware that Allah, Glorified and Exalted is He, is watching us and He has given us the intellect to identify truth from falsehood. We are living in the world of information and we must make the best use of it. When we read the Quran, we see in many instances where Allah commands the mankind to ponder over His creations. For me personally this is the reason I love nature and all it's bounties and be skeptical of all that is against it. Subhanallah! Firstly, I want to address the issue of why it is important for us, Muslims to be conscious of what we eat in this fast paced-industrialized world where people are only considered as consumers. The industry has been successful in capitalizing the market for "halal" products among Muslims and creating an image that if something is labeled as "halal" then it has to be good/great for health. This whole system of Economy puts a full stop for our thinking process at the supermarket shelves. As the Sheikh mentions in the class that the kids these days answer "supermarket fridge" when asked about where does the milk come from, my son said the same-when I asked him about bananas. I can never forget the answer when he said that as a 2 year old, when he never had an idea of a tree would even look like. The idea of convenience eliminates the feeling of humility and thankfulness we must have for getting the food we consume. There is much more to just the fancy labels and packaging to the food we buy. On the authority of Abu Huraira who said: The Messenger of Allah (peace and blessings of Allah be upon him) said, "Verily Allah, the Exalted, is pure and accepts only that which is pure. Allah has commanded the believers to do that which he has commanded the Messengers. The Exalted has said, 'O Messengers! Eat of the good things and do right.' And the Exalted also said, 'O believers! Eat of the good things that We have provided for you."' Then he [the Prophet (peace be upon him)] mentioned a man who after a long journey is disheveled and dust-colored. "[The man] stretches his hands out toward the sky and says, 'O Lord, O Lord,' while his food is unlawful, his drink is unlawful, his clothing unlawful and his nourishment is unlawful. How is he to be answered [in such a state]?" Recorded by Muslim. The interpretation of the entire Hadith can be found in this ebook, from page 453, in sha Allah. We are going to focus on that aspect of Purity, which has been stressed in this Hadith and the unlawful earnings which is stressed at the end, with reference to the prevalence of Interest based Economy in our times. However, it is argued that this particular hadith from Abu Huraira is more general than that. It is not simply talking about legal and pure wealth. But it is talking about all deeds. That is, Allah does not accept any deed unless it is free from any aspect that would ruin it. The deed must be free from any form of show or ostentation. If the deed involves wealth, the wealth must be purely legal wealth. All deeds and all actions must be pure and free from any taint whatsoever. Otherwise, Allah will not accept that deed. He is above accepting such a deed. 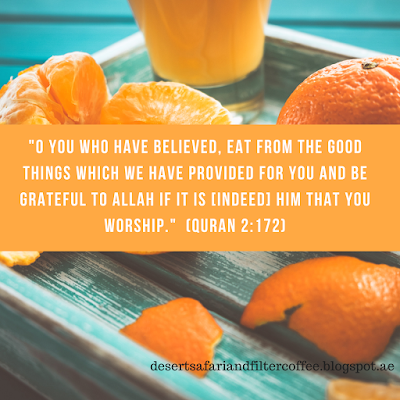 In the Quran, Allah, Glorified and Exalted is He, has mentioned in several places about eating what is Pure and lawful, or in proper terms, eating what is Tayyib. In Surah Baqarah, the second chapter of the Quran, in verse number 168, Allah says "O mankind, eat from whatever is on earth [that is] lawful and good and do not follow the footsteps of Satan. Indeed, he is to you a clear enemy." In another chapter in the Quran, Surah al Isra, in verse number 70 (17:70), Allah subhana wata'ala mentions that He has honoured us, the children of Adam by providing us with Tayyibat (plural of Tayyib) food: "And We have certainly honored the children of Adam and carried them on the land and sea and provided for them of the good things and preferred them over much of what We have created, with [definite] preference." In another Surah Al Mu'minoon, verse number 51 (23:51), Allah says "[ Allah said], "O messengers, eat from the good foods and work righteousness. Indeed, I, of what you do, am Knowing." There are many more verses regarding the same and we understand the importance of Tayyib, which has been stressed enough for us to understand. So, coming back to the supermarket shelves, should the thinking process stop with looking at the product labels whether it is just halal? Isn't it important for us, with all the available technology and facilities to look beyond what is obvious? It doesn't require a heart of gold for someone to feel bad for the cruelty the animals and the workers have to go through in a factory farm. From poor living conditions to being injected with hormones and chemicals, these poor animals are even drilled a big hole on the sides of their stomachs (also known as fistulated cows or cannulated cows) for the "scientists" to observe how their stomach works! Isn't it pathetic? Adding more to the horror is that these animals are fed with things like corn and soy, which they are not capable of eating and digesting by nature. They are fed with these just because corn and soy are highly available and subsidized, and for making them produce more flesh and milk. Also note, more than 90% of the corn and soy available throughout the world are Genetically Modified. There are many documented evidences about the awful conditions they are raised upon. Brace yourself if you have the guts to watch this short clipping from the documentary Food Inc. So, when you visit your dear cousin's place and find her fridge stocked with processed beef burgers and chicken samosas, don't become a fatwa factory and shout it is "haram, haram!". Instead, try to understand and explain why, as Muslims, we have the highest moral obligation to pay attention to the ethical treatment of animals and the working conditions of the people there. We are the Ummah which is taught that removing the harm from the path is one of the many branches of faith, so how about we giving a little thought over what we consume? We also have the obligation to eat what is Tayyib or pure, which is a step beyond just what is permissible. This gives us a compelling reason to look beyond what is obvious. A beef burger with all the necessary "Halal" certifications might be perfectly legal from a Shariah point of view to eat. However, we must think if what we are eating is Pure-and ask a few questions. Is processed meat good for our health? Does the meat come from factory farmed animals? Are the animals fed with feed that they are not biologically used to eating, like corn and soy? Are the animals treated well? Are they injected with growth hormones? Are they free to walk? Are the workers given a fair treatment, work in a conducive environment? What is the carbon footprint of the food I am eating? Do I really need that lamb meat travelling thousands of miles all the way from Brazil or Australia? The same thing applies for poultry, milk and the dairy products too. I know I sound like I am stretching a bit far, but the principles of Tayyib might apply to vegetables, fruits and the clothes we wear, according to my interpretation. 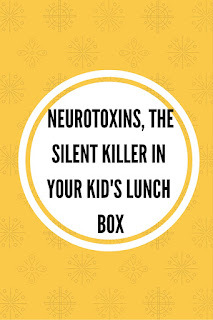 When we consume a vegetable or a fruit that is genetically modified or cultivated with a lot of chemical fertilizers/pesticides/herbicides on them, it not only damages our health, but also puts the lives of the farmers into serious risks. From being burdened with debt to health complications due to using the chemicals, the plight of the farmers are beyond words to explain. We also put the whole ecosystem into risk when the area is exposed to chemicals. From Kasargode to Andhra Pradhesh, we have enough stories to speak about the damages caused by pesticides and GM crops. Coming back to the topic on the Hadith number 10, Ustad Tim Humble's views were from a different perspective, however, it does not contradict the importance of eating that which is pure and Tayyib. He leaves a strong message that it is not right on people to make what is halal as haram and make life difficult for themselves. He also mentioned about the strange obsession of the Muslim world towards the E numbers and the famous carbonated drinks made out of "pig blood". Of course, there is a huge possibility that certain E numbers would have haram sources, like E 441, or Gelatin, which might come from pig or other animals slaughtered in a non-halal way. However, that doesn't mean all the products that have an E number is haram for us to eat. The point that is to be noted here is to study the health implications of eating food that has a lot of chemicals and additives in them (E numbers are codes for substances that are permitted to use as food additives) and not to be restrict oneself with the labeling of the product as halal. When we have the clear proof that eating something which is harmful for our health is not permitted in Islam, it is obligatory upon us to avoid it. We are commanded to eat that which is Tayyib (Pure) and this is a step ahead of what is generally permissible. As Muslims, we have the highest moral obligation to look at things from all perspectives that are important- from our own health to the ethical treatment of workers involved. I remember those days as a child when a half a kilo mutton would suffice the entire family of 10. My grandma would always cook the meat with a lot of vegetables so that we eventually end up eating those vegetables with the satisfaction of eating something meaty. We recently started buying Organic Vegetables (I must reserve that for another post) from a farm in Khawaneej, Dubai and because I pay more for the hard labour, I also use it carefully, avoiding wastage as much as possible as it subconsciously hits me that it is very expensive. This era of supermarkets and hypermarkets where everything is bulk and cheap makes us value things a lot less than what they are actually worth. Buying from a farm, from the cattle market, from artisans and small businesses will not only have an impact on our health, but will have a great, positive impact on the overall Economy as well. It is not easy for me too, but I am just taking baby steps towards a sustainable living, as a responsible Muslimah. Oh, now I have to write about the Purity of Wealth-and Personal Finance, which is the second part of the Hadith! I will, in sha Allah continue it in the next post! Please feel free to leave your thoughts and comments and any corrections, bi'idnillah!